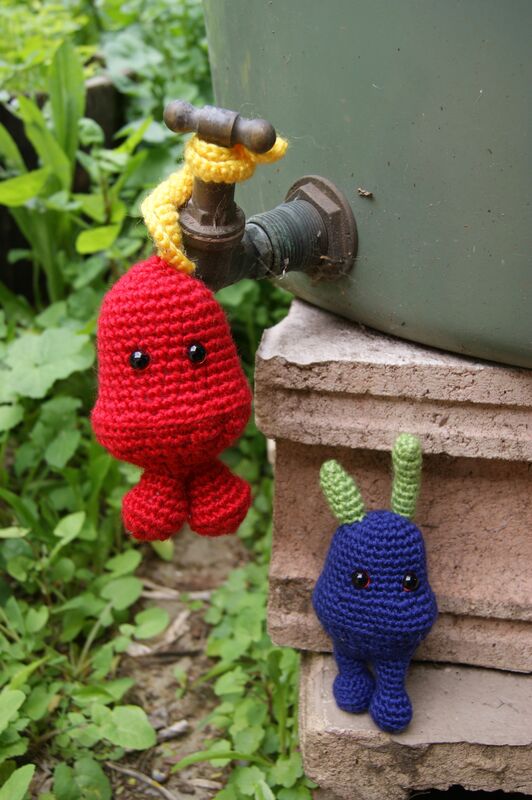 These delightful crochet toys were made by my friend Branwen Davies & I photographed them in my very overgrown backyard. 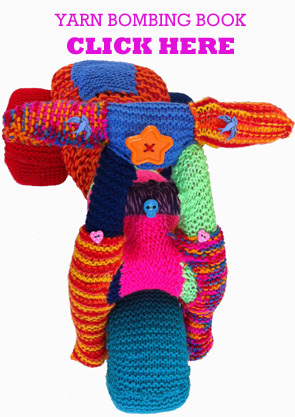 These little aliens were made freestyle with no pattern & they are completely individual one of a kind creatures. 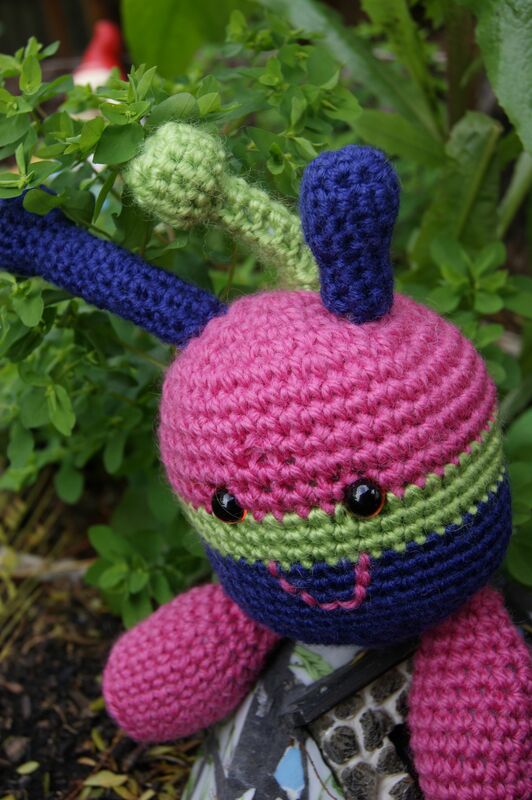 This crochet teddy is relaxing by the pool. 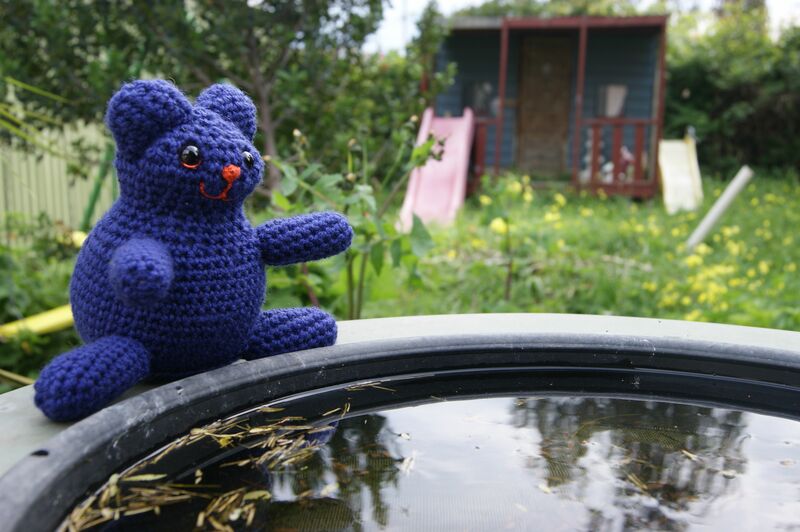 The pool is actually the top of my rainwater tank. 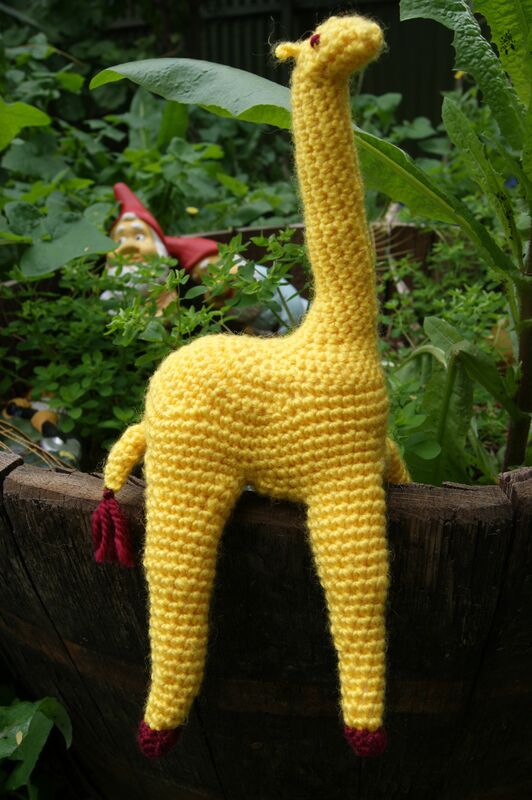 The garden gnomes are wondering where the crochet giraffe came from. 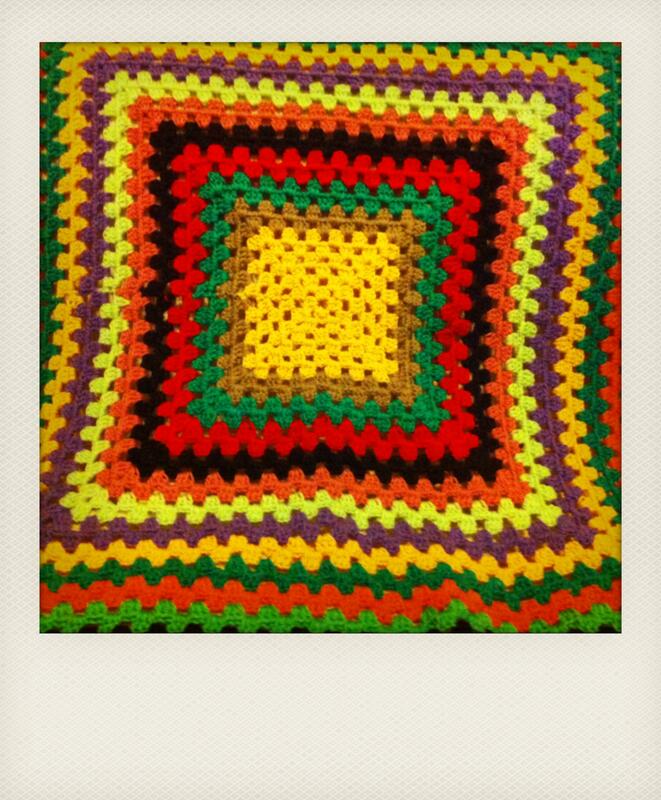 Craft is so much fun. 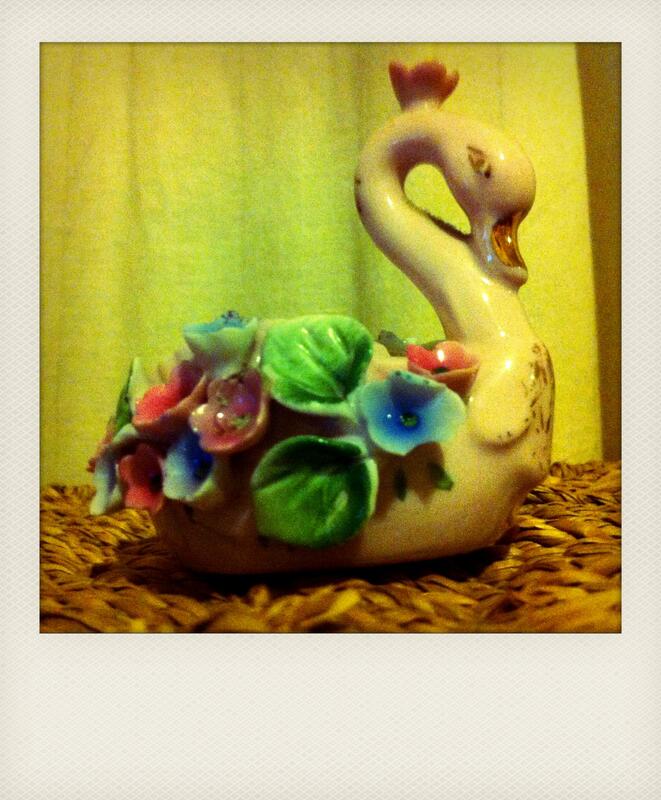 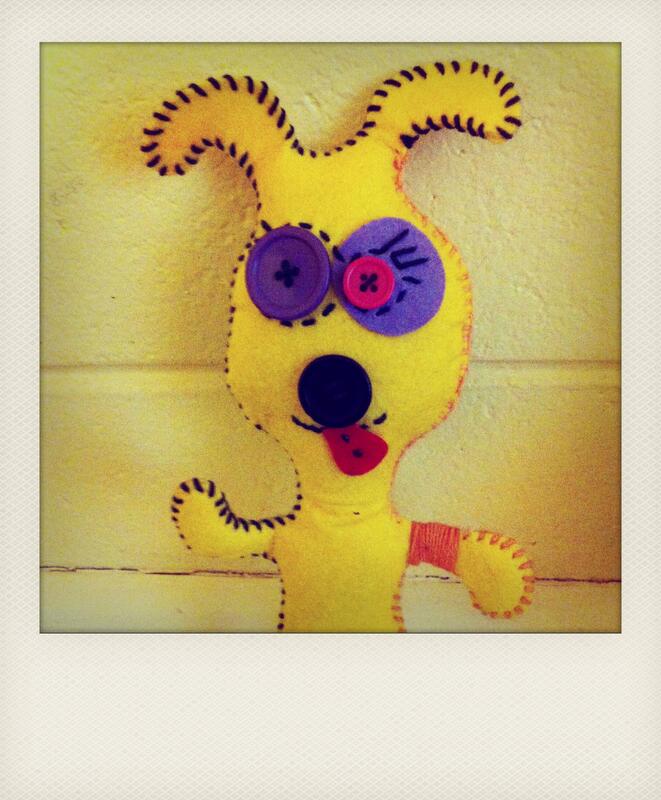 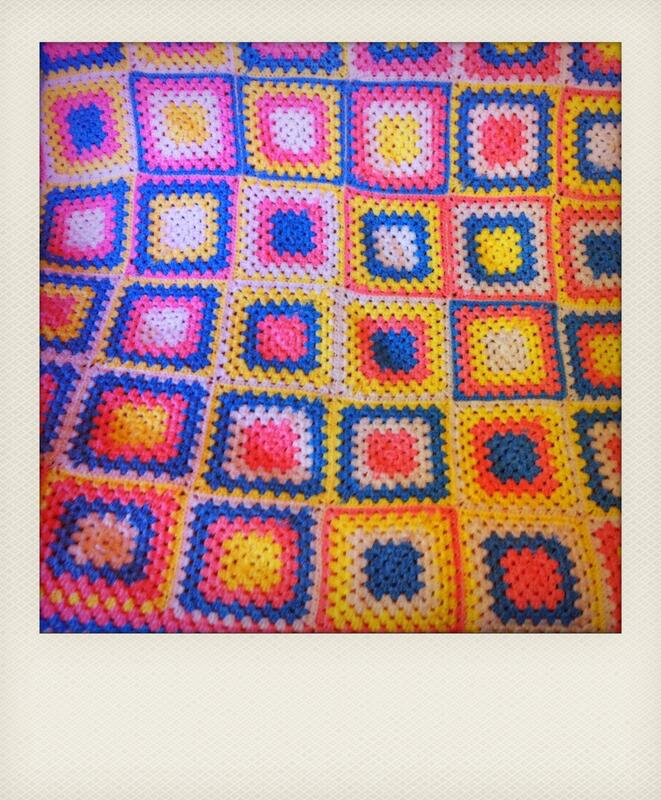 This entry was posted in Uncategorized and tagged craft, crochet, photography, toys on August 30, 2012 by yarnbomb. 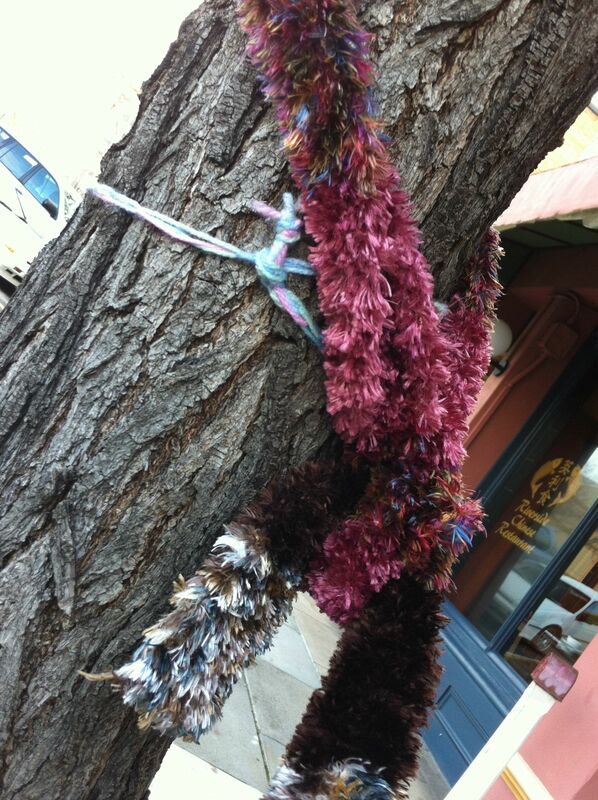 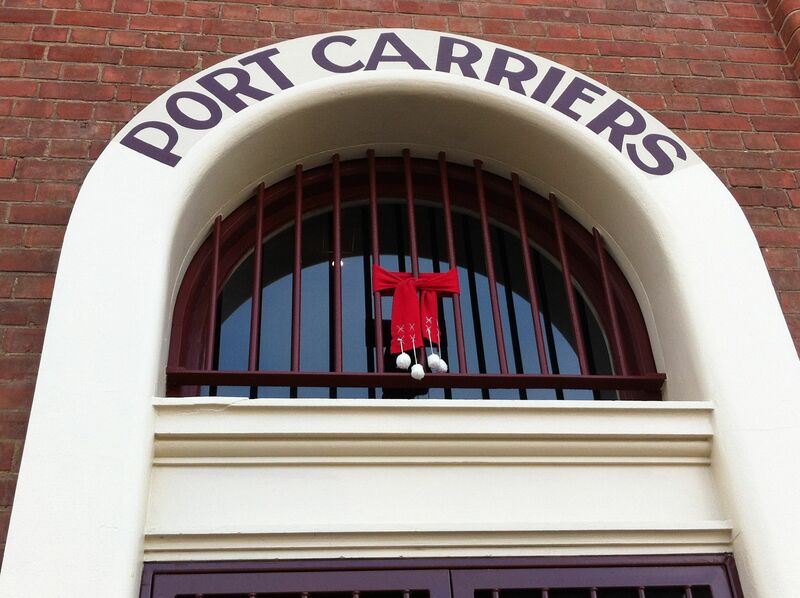 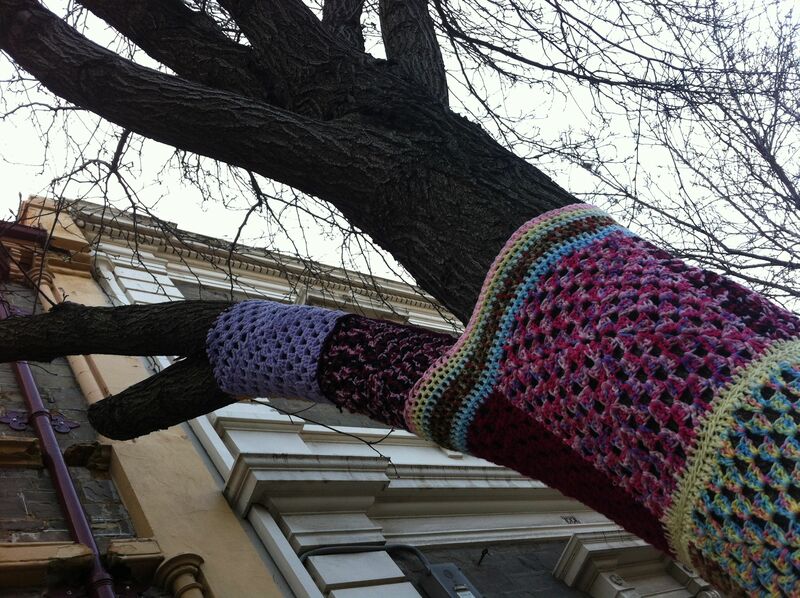 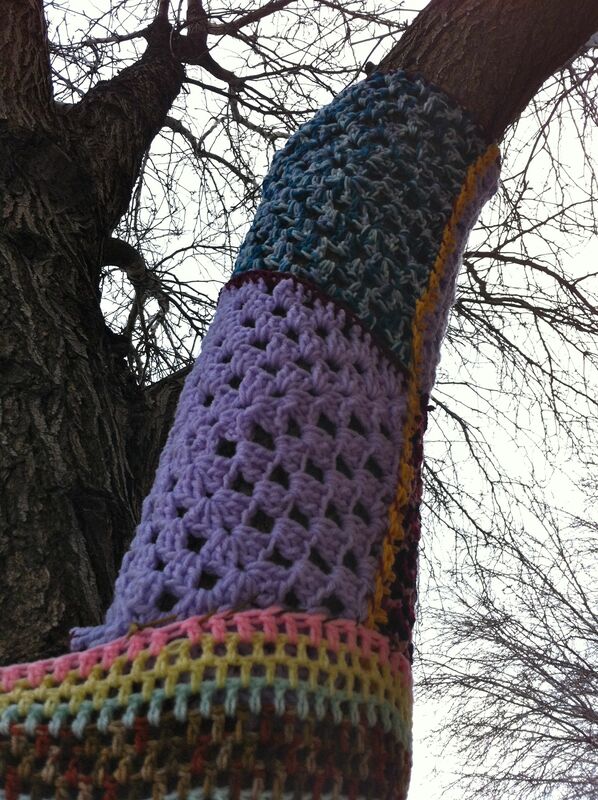 knit bombing and crochet yarn bombing are craft sensations this season. 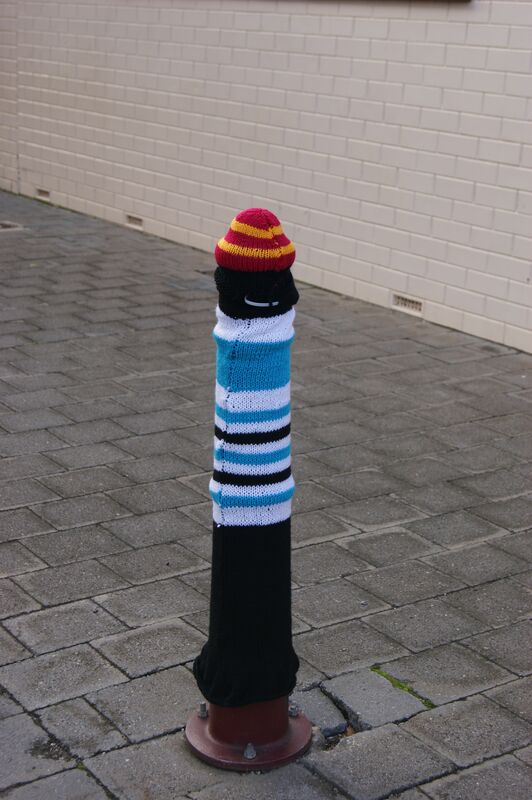 Yarn bombing is a colourful form of street art that appeals to people of all ages. 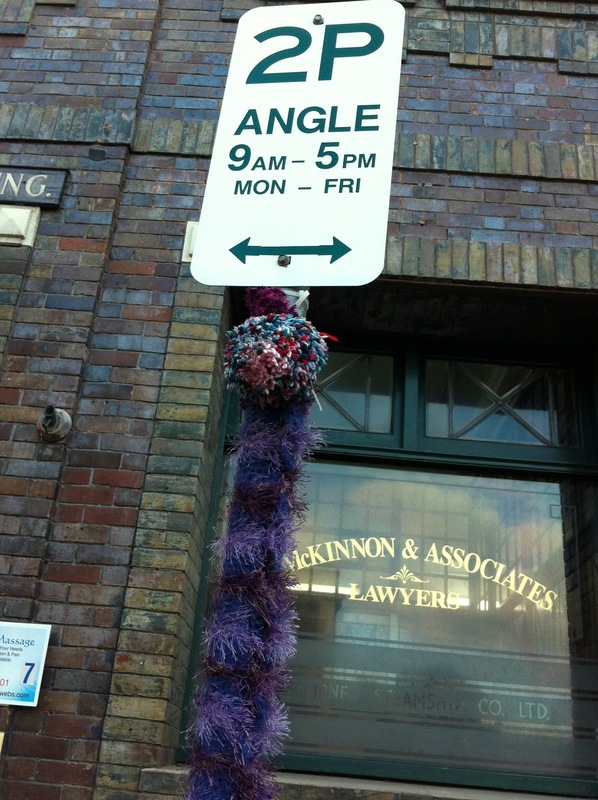 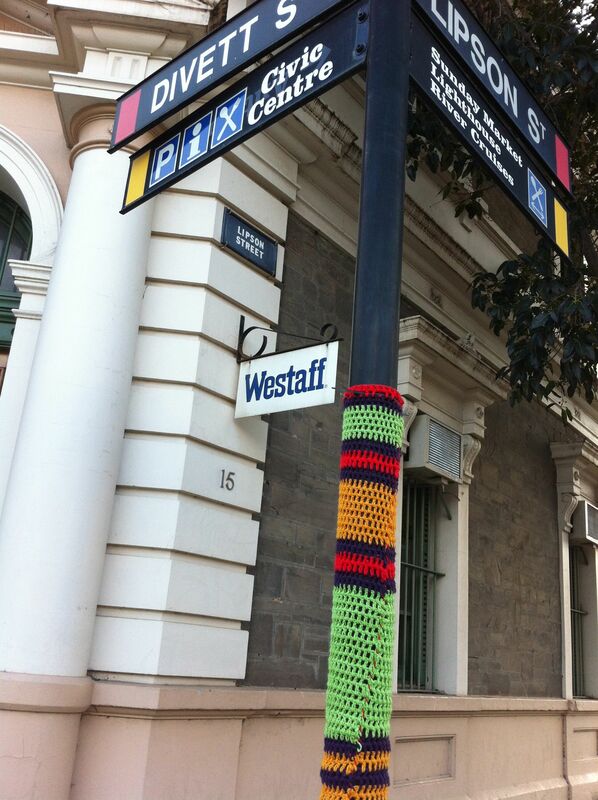 Yarn bombing is a soft and fluffy way to brighten up any old pole or street sign. 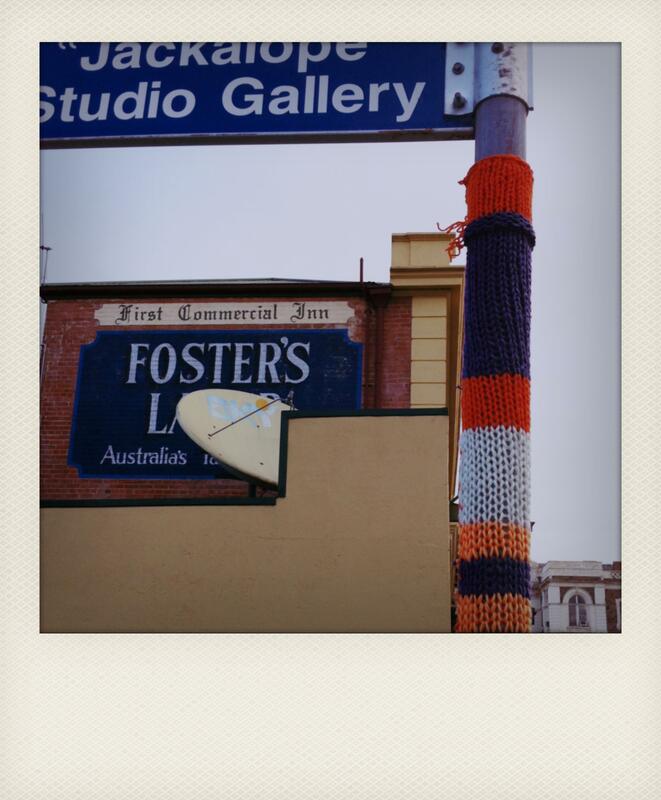 Grab a pair of knitting needles or a crochet hook and join the fun. 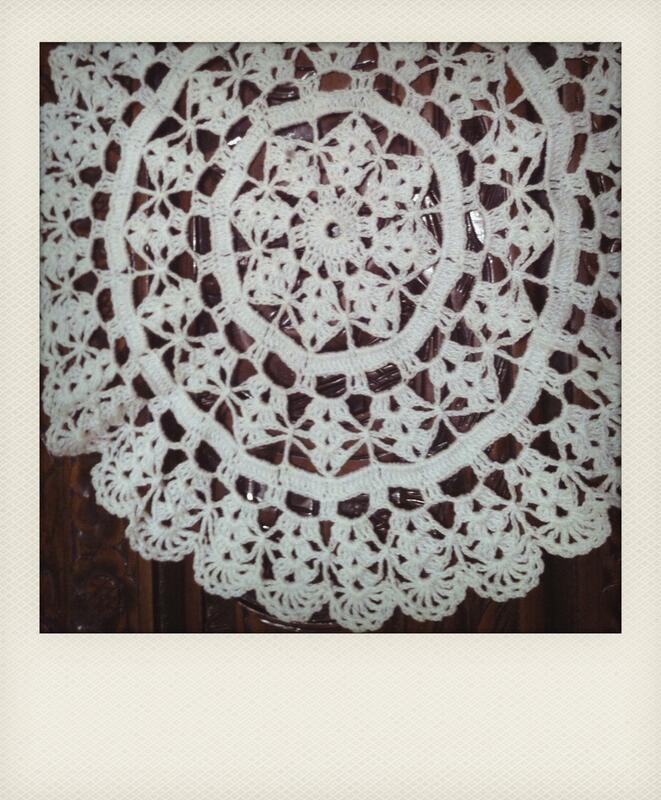 The humble crochet doily is a wonderful inspiration for yarn bombers and crochet lovers. 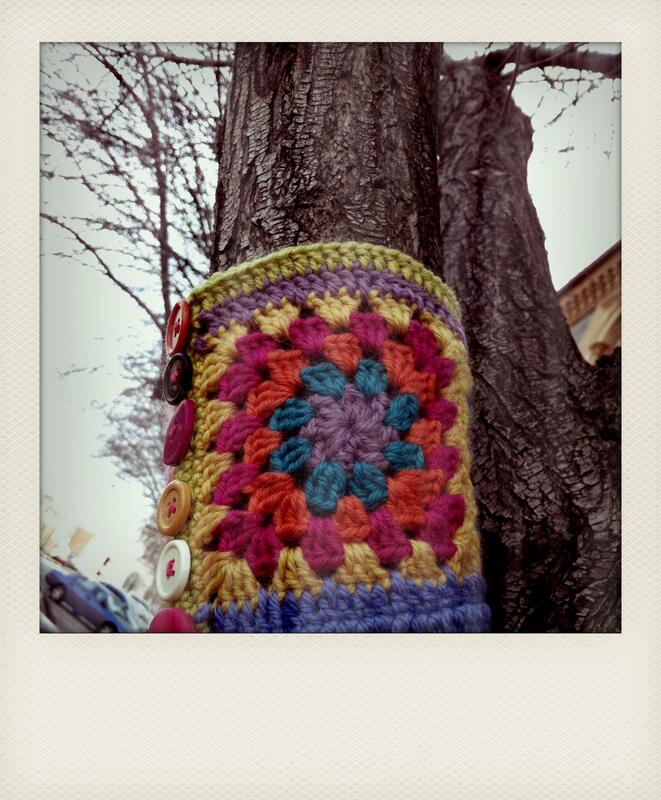 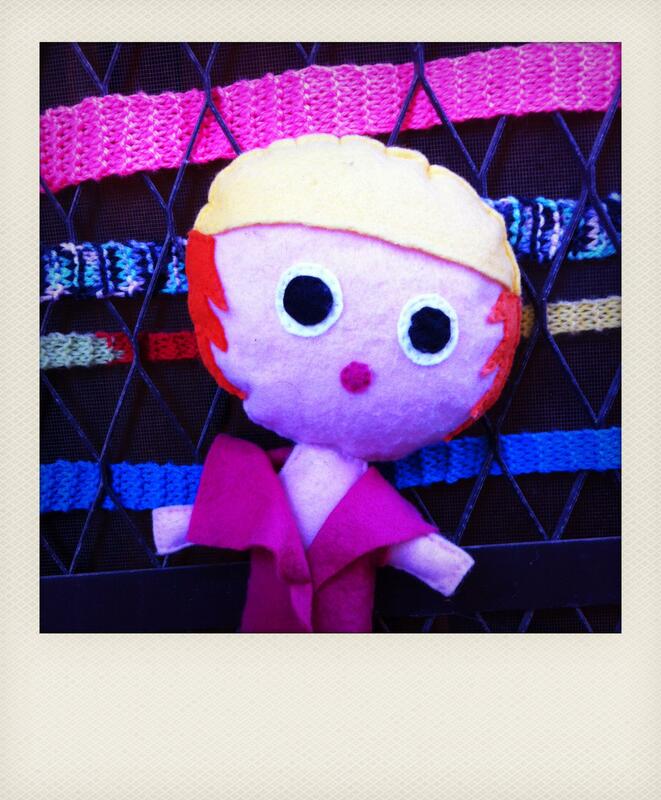 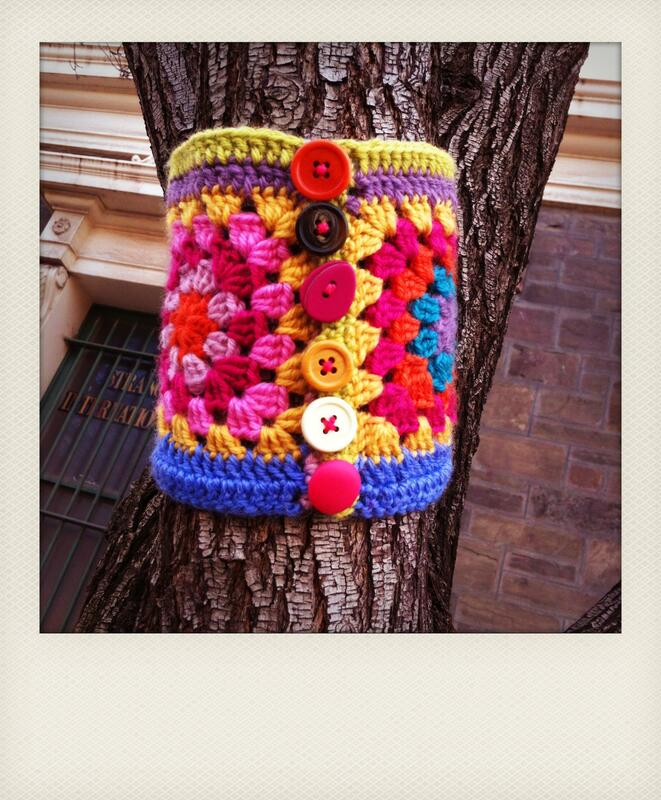 This entry was posted in Yarn bombing and tagged craft, crochet, knit, photography, polaroid, street art on August 23, 2012 by yarnbomb. 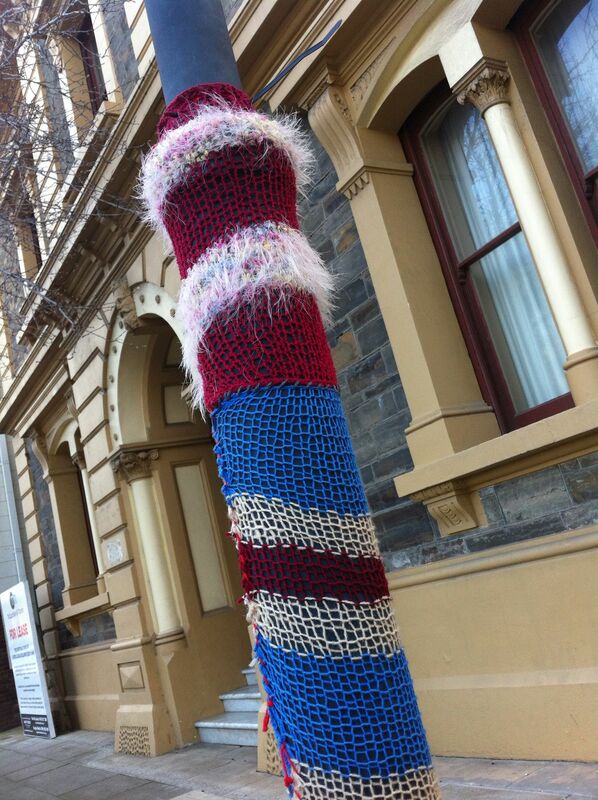 There is something very friendly about the art of yarn bombing. 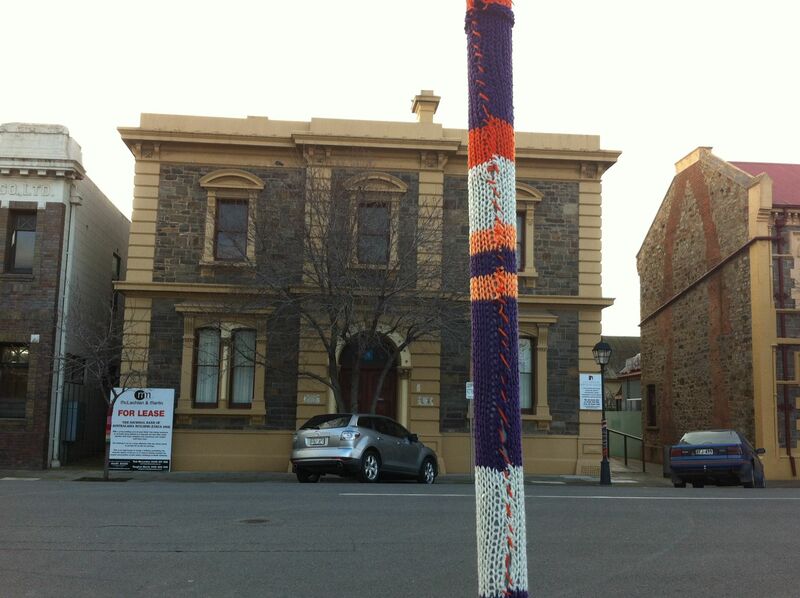 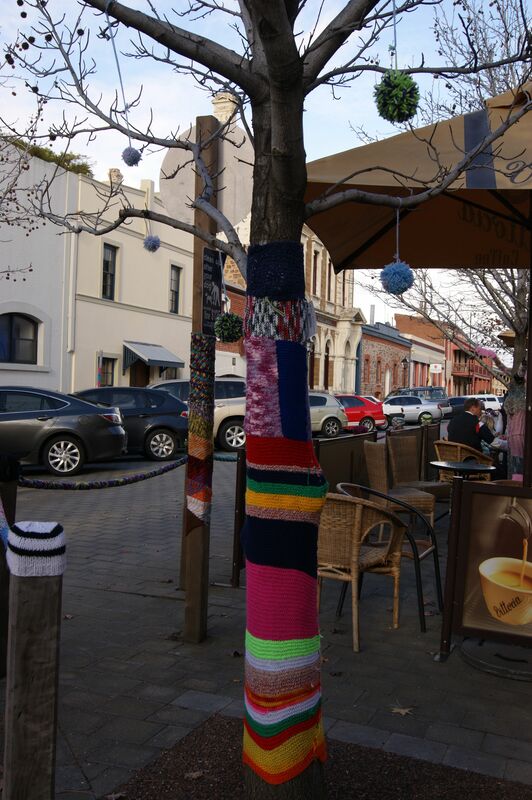 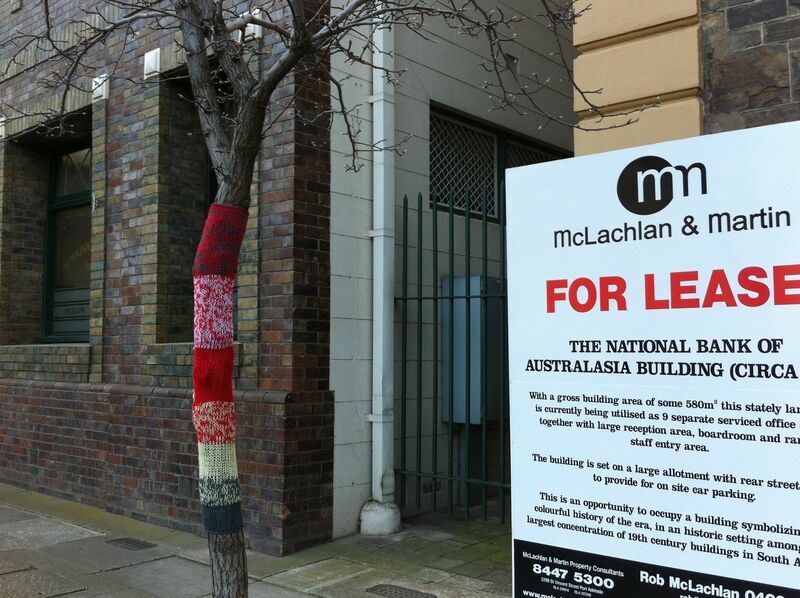 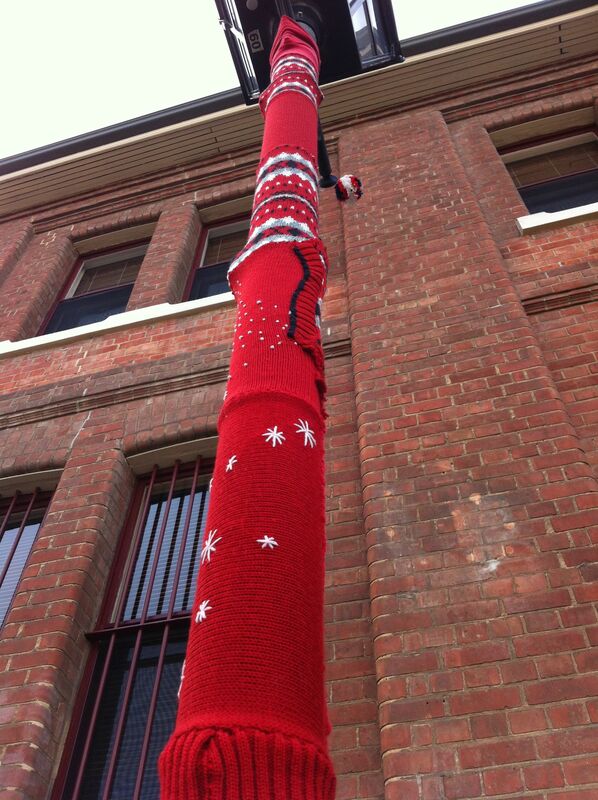 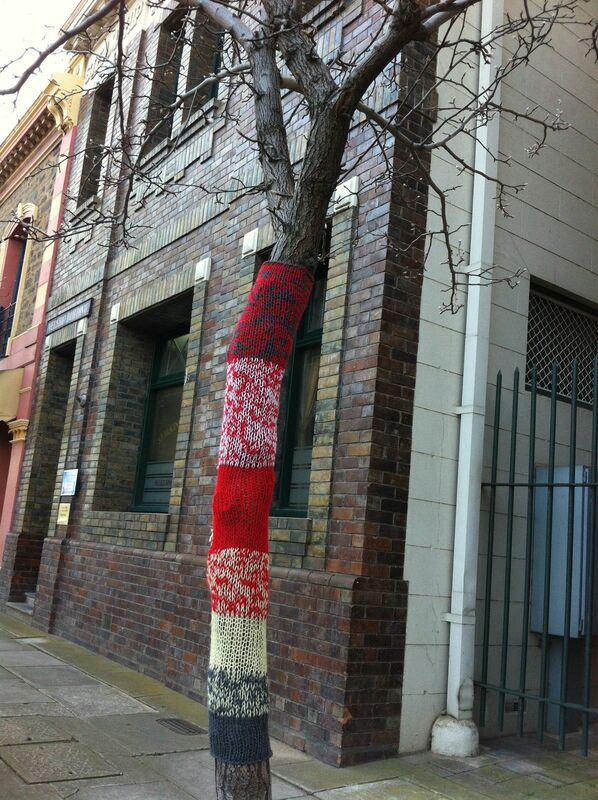 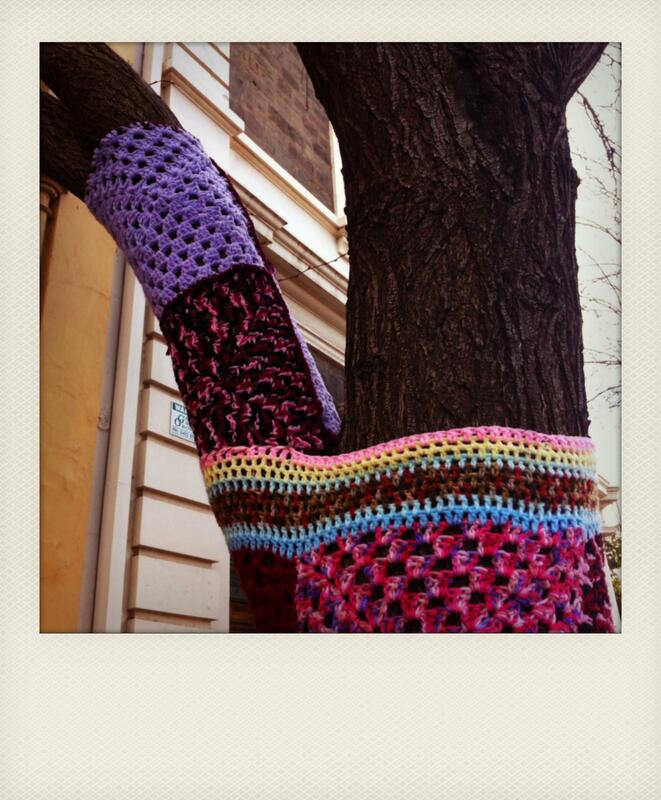 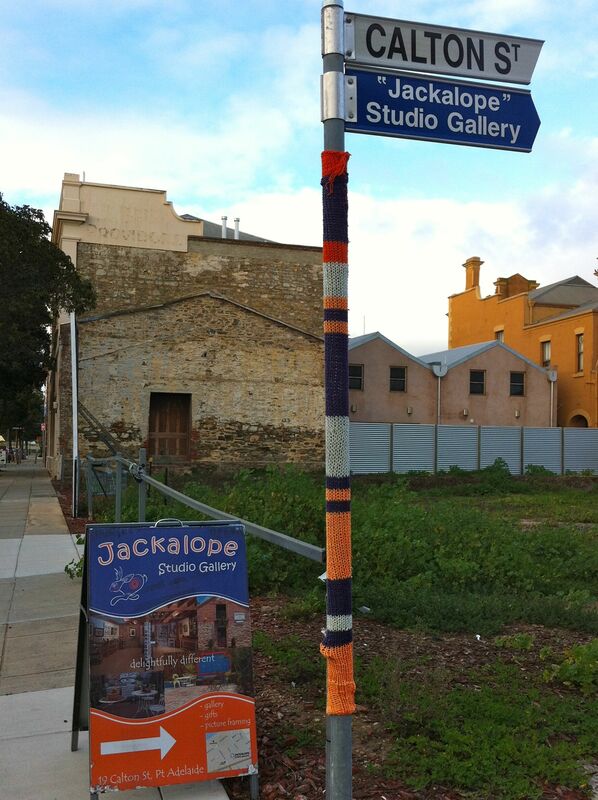 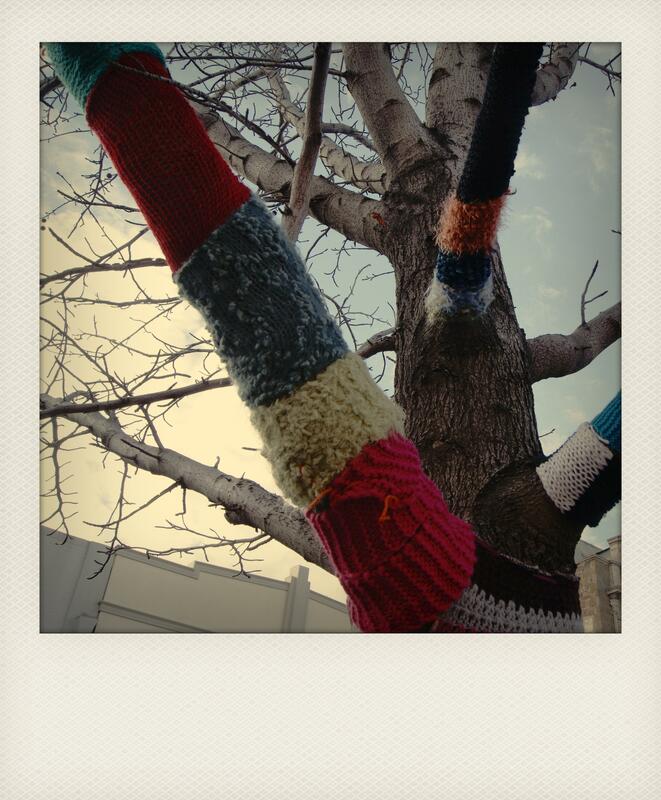 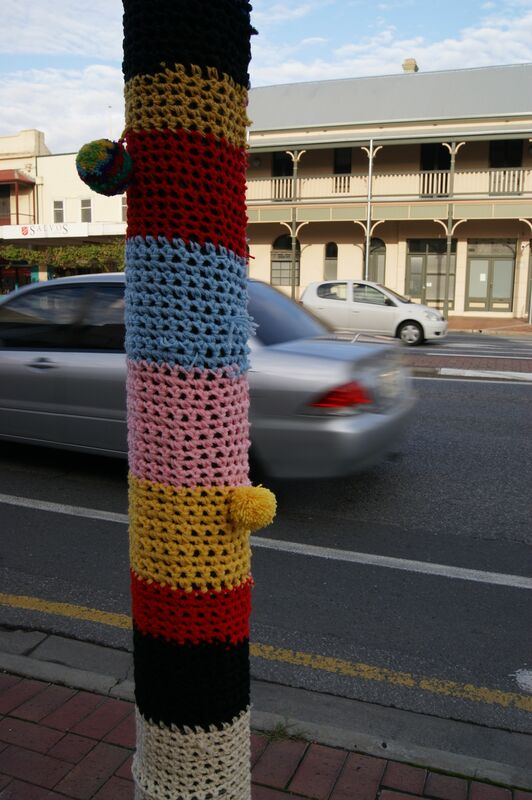 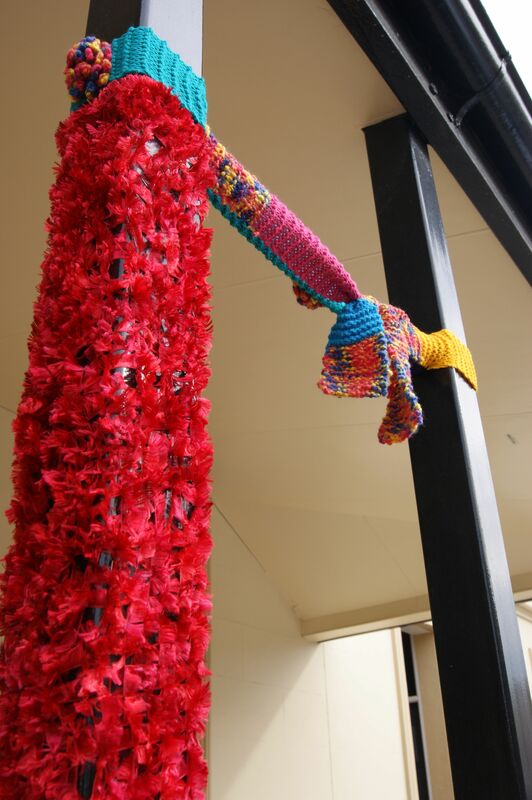 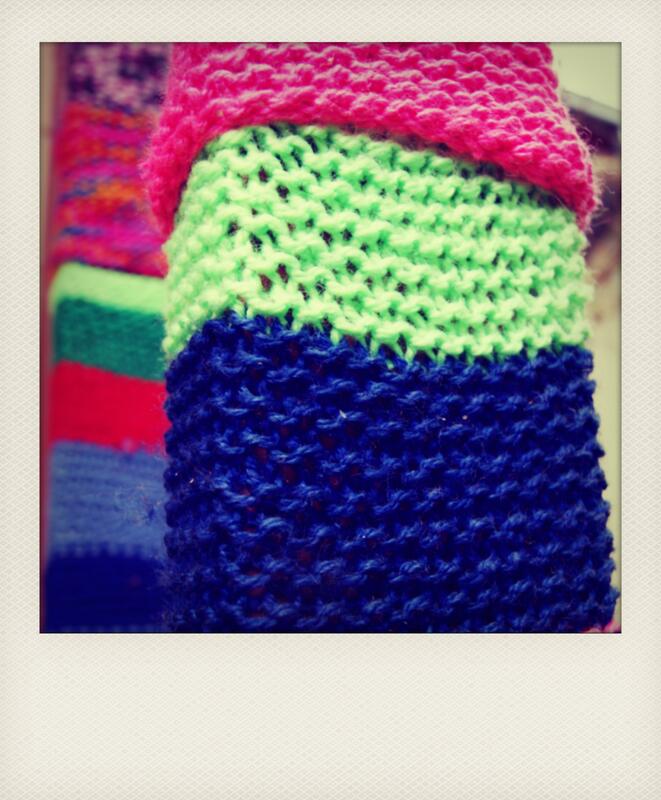 Yarn bombing poles with knitting and crochet is a colourful and increasingly popular form of street art. 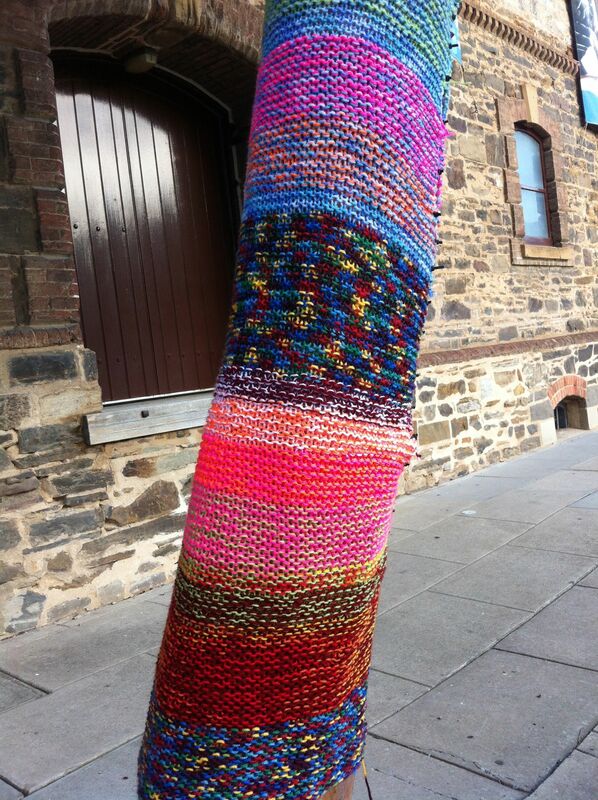 I enjoy taking close up photographs of the lovely stitches and weaves in these pieces. 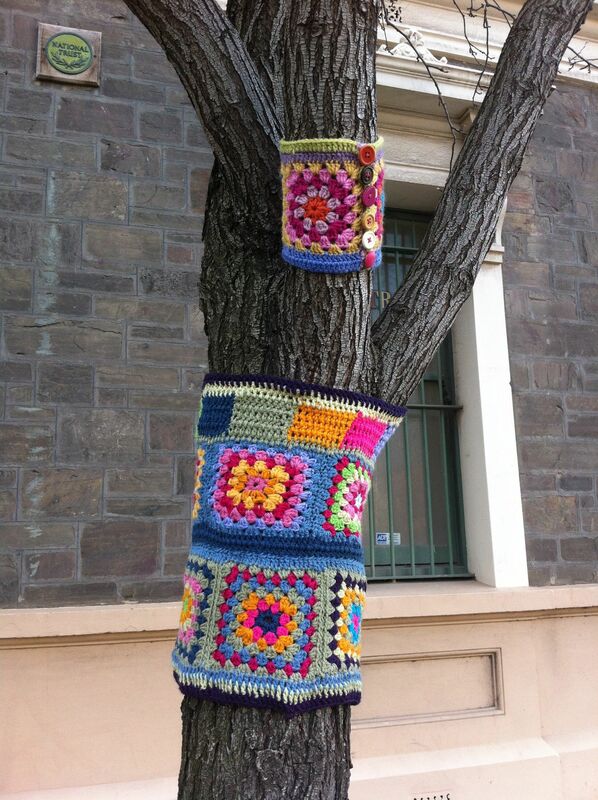 There is something about a colourful yarn bomb that makes me feel like I have entered a children’s picture book like a dr seuss maybe. 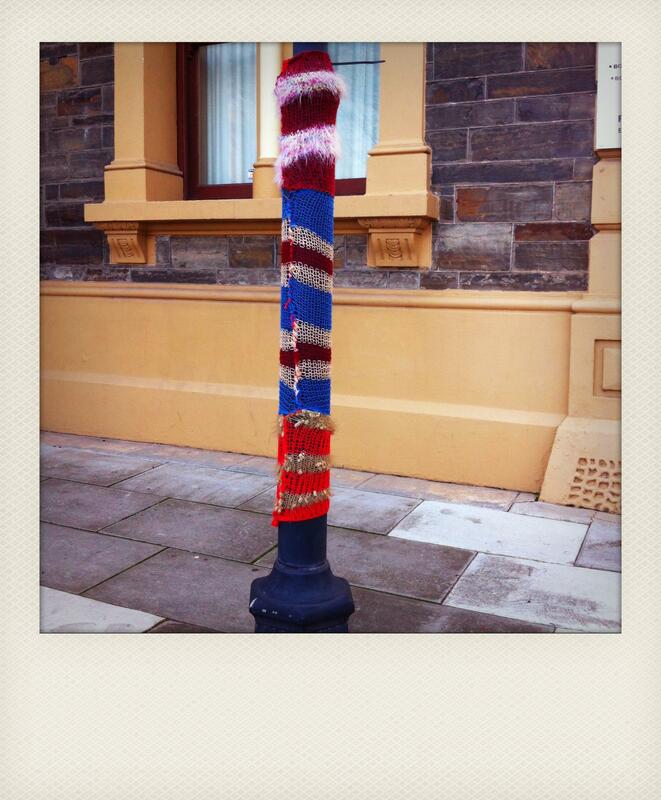 The little attentions to detail on these poles are lovely with pompoms and streamers. 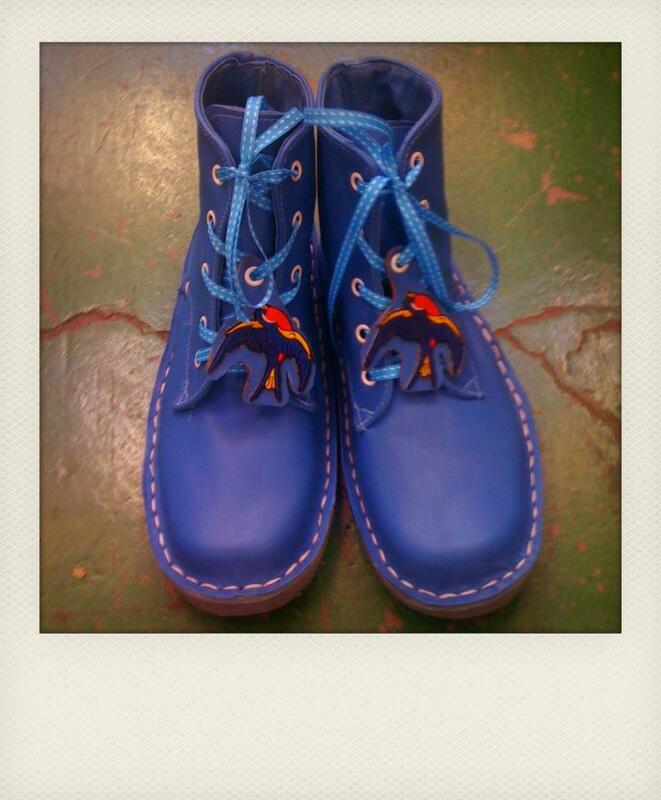 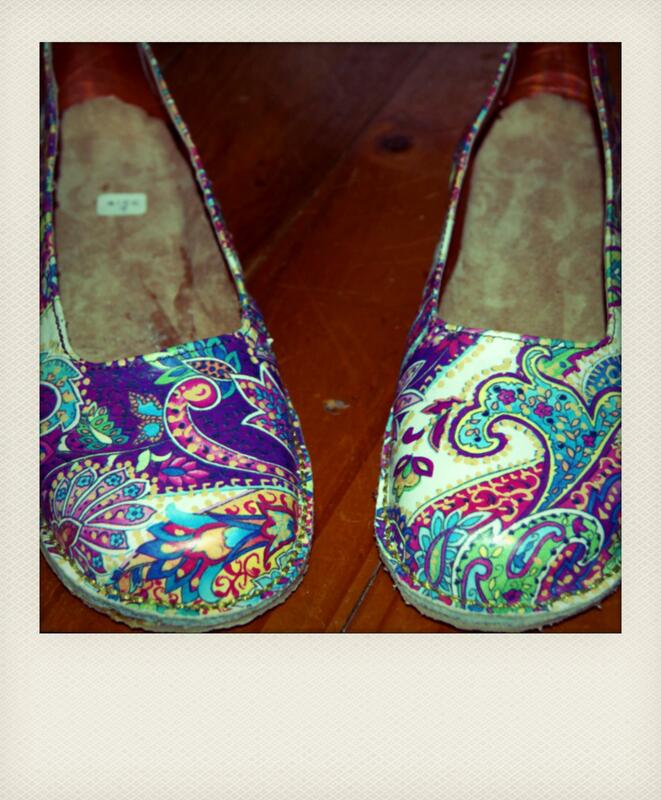 The chunky hand stitching adds to the effect. 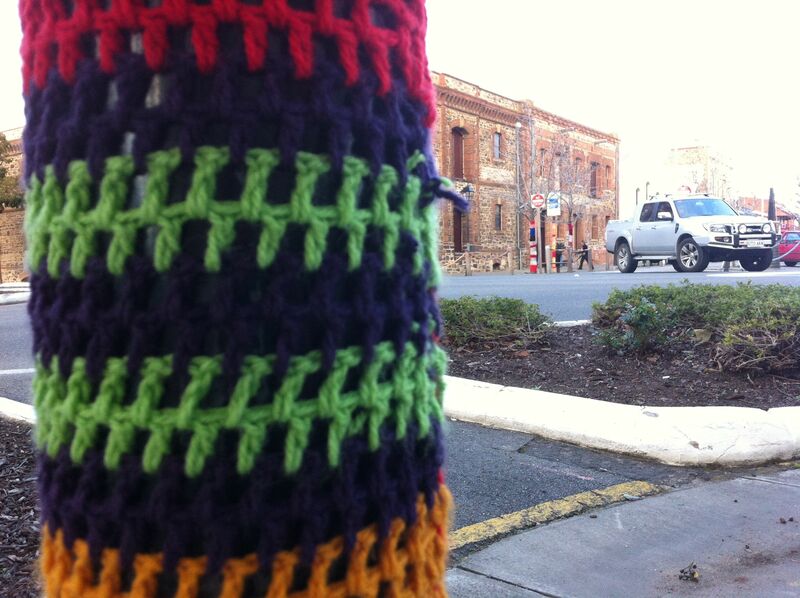 I have noticed that people love to stop and touch the yarn bombs because they are very tactile. 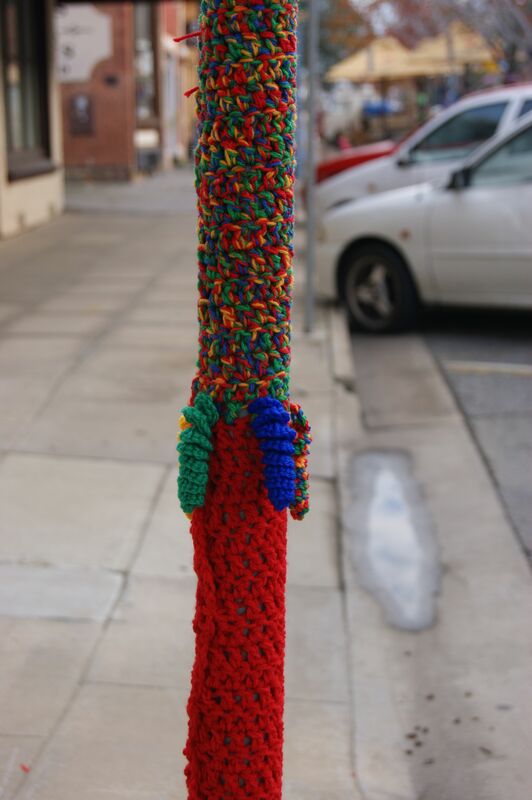 This entry was posted in Yarn bombing and tagged crochet, knitting, photography, street art, yarn bombed poles on August 19, 2012 by yarnbomb.